Exclusive! 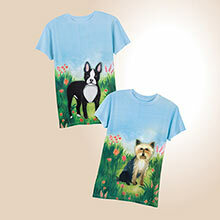 Walk this doggie carry-all anywhere and show your love of your best friend! 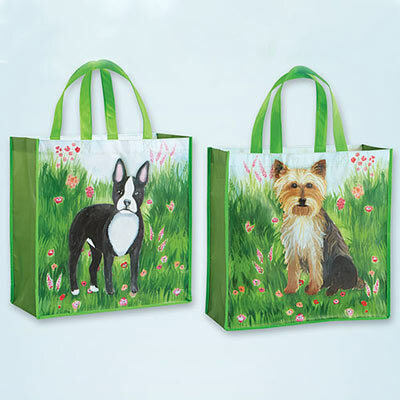 Big, roomy size Best Friend Tote easily carries groceries, clothes or whatever you take along. Durable, non-woven polyester coated for easy cleaning. Imported. 14"w, 12"l handles. For the price a very good tote bag. The dogs were cute. took to a dog show and many liked it.